Our Altamonte Springs gym is home to the TOP Personal Trainers in Longwood, Altamonte, and the greater Orlando area. 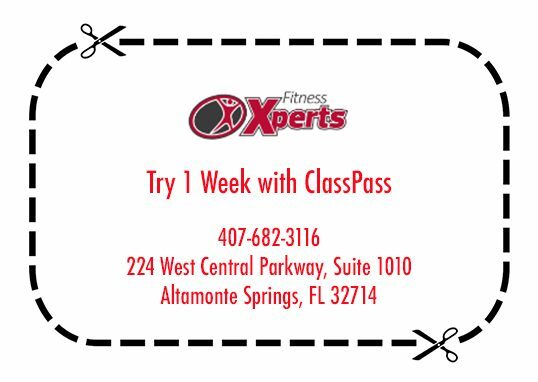 There’s something for everyone at Fitness Xperts. Why? Because our personal trainers have a range of knowledge, experience and expertise to help you achieve your fitness and wellness goals! Our specialties include: Weight Loss, Nutritional Coaching, and Strength Training, Functional Fitness, Boxing and Kickboxing, Weight Training, High-Intensity Interval Training (HIIT), Sports Performance, Pilates, Competition Prep, Youth and 55+ Training, Bodybuilding, Powerlifting, Strongman, and so much more! New to fitness? Training for competition? Whatever your goals, we have the perfect personal trainer to help you achieve them! Hannah True is one of Altamonte’s top personal trainers and fitness experts. 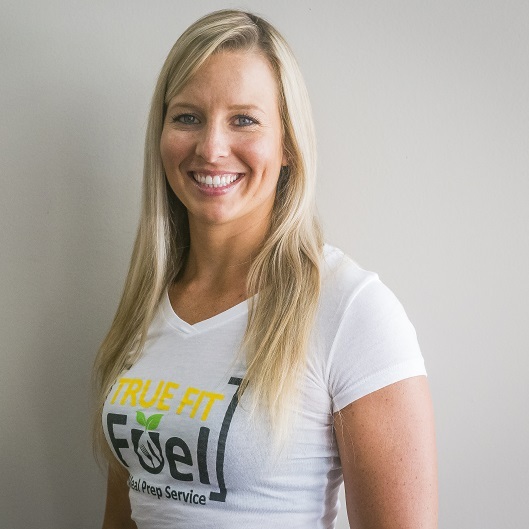 She is highly qualified in fitness and nutrition, with a Bachelor’s of Science degree in Applied Physiology and Kinesiology from the University of Florida. She has 7 years of experience as a National Strength and Conditioning Association Certified Strength and Conditioning Specialist. Hannah also operates a meal prep business! In addition to a custom training program you also get a meal plan tailored to your goals and needs. Nutrition is Hannah’s passion, and above all she loves helping people achieve their health goals through proper nutrition and personal training. 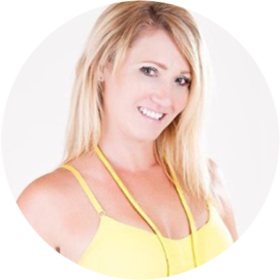 Amie Blackwood is an ACE Certified Personal Trainer with a Bachelor of Sports and Fitness from the University of Central Florida. She customizes each workout to help you reach your unique fitness and wellness goals. In addition to her personal training certification, Amie also has a Physical Therapist Assistant degree from Seminole State College. So she is uniquely qualified to help people with various injuries and conditions restore, maintain and improve physical function. 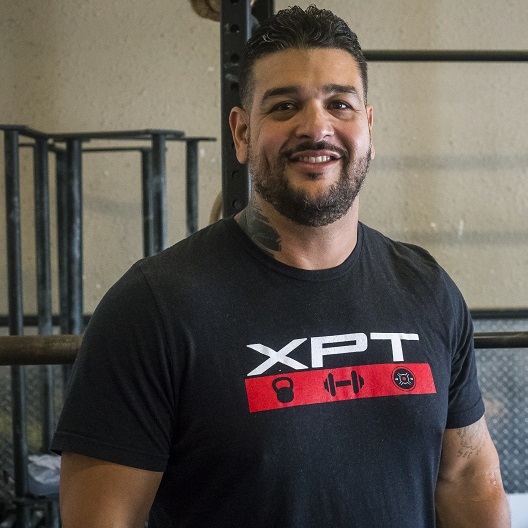 Exson Rodriguez has over 10 years of experience and has earned numerous fitness coaching certifications, including: ISSA, CF (Level1, 2), and Strongman Power Lifting, ISAW Weightlifting, and Fit Tour. 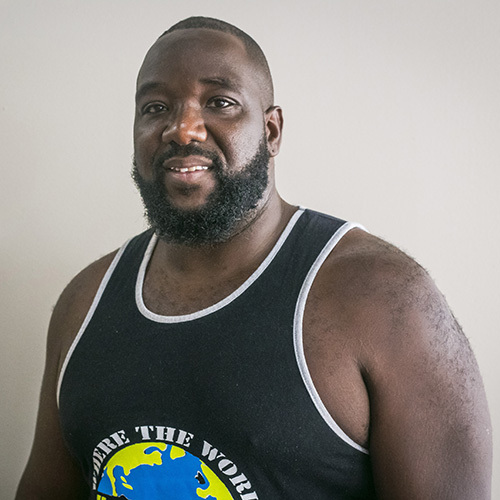 He has personally been a winning competitor in everything from Powerlifting to Strongman and CrossFit. Exson’s training specializations include strength training and helping clients prep for competition. Therefore he has the knowledge, insight and experience to help his clients achieve their fitness goals. Exson set the American record for his 722 lb. squat, qualifying him for the 2014 Worlds Competition in Las Vegas. His winnings earned him a sponsorship from Muscle Elements. Above all, Exson is devoted to family then fitness. When he isn’t prepping for competition or training clients you can find him spending time with his son Elijah. Jesse has degrees in Sports Medicine from Manatee Community College and Psychology from the University of Central Florida. His certifications include PTA Global, NASM, and Precision Nutrition. Moreover, he has been Board-Certified for over Twenty years! 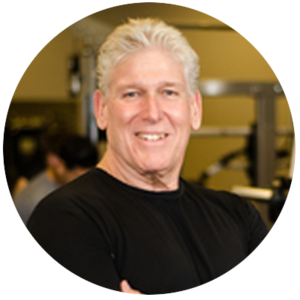 He has trained clients with different goals, backgrounds, lifestyles, limitations and injuries. Additionally, Jesse is qualified to help in nutrition. So get ready to tone up, lose body fat, or gain muscle mass, whatever your goal! Lee Viersen began his fitness journey when he was 55 years old, after a decade struggling with illness. His cholesterol was 401, blood sugar was 250, and his blood pressure was 200/98. Plagued by severe sinus issues and joint pain, a horrible diet and a lack of physical activity, Lee knew it was time for a change! So he got educated and completely transformed his life. Lee competed in his first bodybuilding competition at 60 years old! Through his journey, Lee learned firsthand how critical training and a healthy eating plan are. He now devotes his life to helping others achieve a healthy lifestyle. Through positive affirmations and motivational coaching, proper meal planning, and bio-mechanically correct resistance training, Lee can help you become the healthy, energetic and vibrant person you were meant to be! Lee is ACE certified with over 10 years of experience. 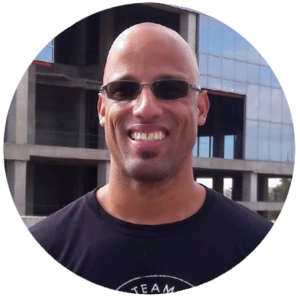 Yadi Travis has over 20 years of experience in the wellness and fitness industry. She has extensive knowledge in sports-specific coaching and macro-nutrition and conditioning, with specialties in baseball, softball, soccer, golf and more. Yadi also works with women’s health and helping with hormones and inflammation. Moreover, Yadi believes you are destined to achieve your goals in any area of health and fitness you desire. With her positive upbeat personality and belief in progression over perfection, Yadi will help you get there – custom plan + accountability included! Christian LeGrand is a NASM Certified Personal Trainer and Boxing Coach. His interest in fitness began when he started boxing at 16 years young. After several years of boxing, he wanted to help others achieve similar goals and even more. Christian started training family and friends, and soon realized it was his gift to teach and help others live a healthier life. So after realizing his passion and potential, Christian turned all his attention to others. He has now been a trainer for over 7 years. Christian teaches a variety of martial arts and fundamentals in fitness and exercise. He has also become plant-based with his diet, and educates others on nutrition and wellness as a complete package for a better you! 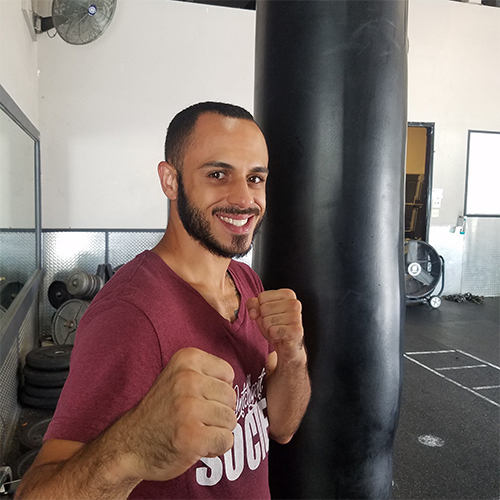 Christian runs the Boxing Class at Fitness Xperts several days a week and works full time with clients, helping them achieve their health and fitness goals. Hov Pierre Louis first got into fitness training as part of his own personal healthy and fitness journey. Down 172 lbs, fitness has since become one of his greatest passions – alongside his lifelong love for helping others. Combining his two greatest passions, Hov has long since become known as one of Fitness Xperts top coaches and personal trainers, with people young and old coming to him to reach their own personal goals. Hov is UTA and CPR certified, and specializes in group fitness training, boot camps, strength training, weight loss, HIIT, circuit training, and youth training – including a homeschool physical fitness class. Hov’s infamous Fitness Xperts Boot Camp classes blend high intensity interval training with core strength exercises, weight training, and endurance classes. His classes are high energy, designed to help you tone and burn calories. Check out our class schedule and get ready to fast track your results! 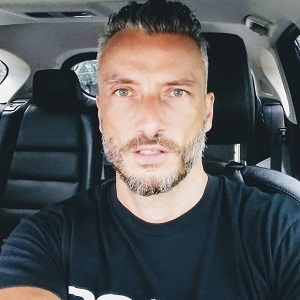 Jean-Sebastien Fabre is originally from Paris, and is a Nationally Certified Personal Trainer through IFPA. He is also a Certified Weight Management Instructor (IFPA- NCCA), and is a registered Youth Soccer Coach with the French Federation of Soccer. Jean holds certifications in CPR and AED with the American Heart Association. Jean-Sebastian is a big fan of sports and has performed competitively in 5K races and marathons. He also enjoys teaching cycling classes and runners in training and recovery. Are you self-motivated and looking to grow your personal training business? 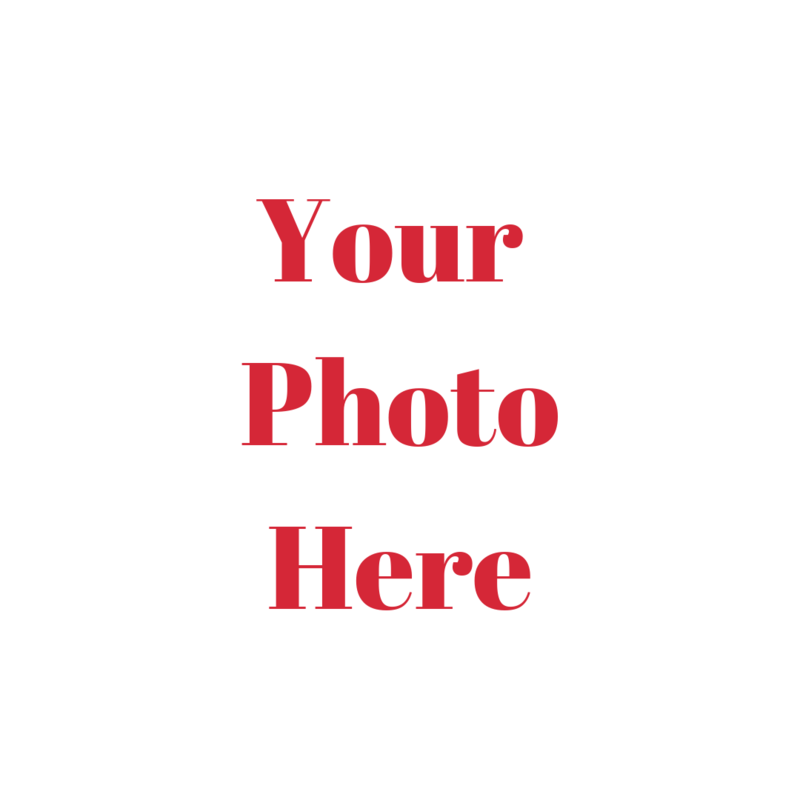 Do you have a passion for helping people achieve their health, wellness & fitness goals? If you answered YES to these questions, you might be ready to BECOME A FITNESS XPERT!